The first production HondaJet made its public debut yesterday at EAA AirVenture Oshkosh, Winconsin, USA. Following a celebratory event commemorating the occasion, the HondaJet concluded the day with an entertaining flight demonstration that included high and low-speed passes during the afternoon air show. The first production HondaJet will be on static display in the Honda Aircraft Company’s exhibit until 1st August. In addition to the HondaJet, EAA AirVenture Oshkosh 2014 attendees will have the opportunity to see the all-new ASIMO, Honda’s advanced humanoid robot. 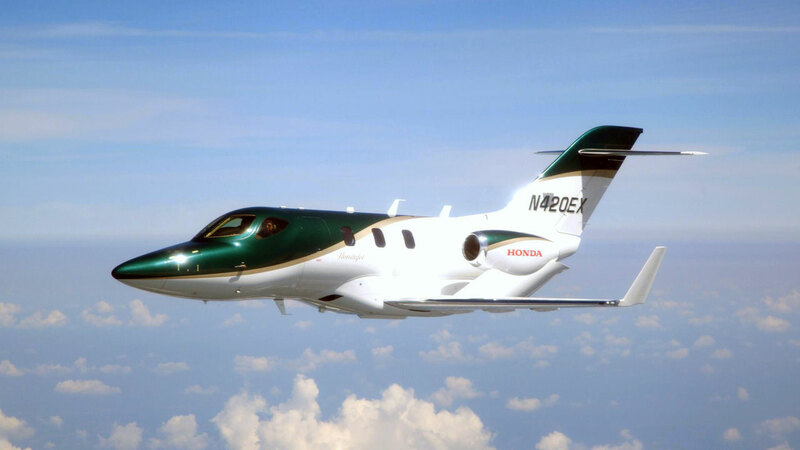 The HondaJet is the world’s most advanced light jet, and its distinctive design incorporates advanced technologies and concepts. The HondaJet Over-The-Wing Engine Mount (OTWEM) configuration, natural-laminar flow wing and fuselage nose, and composite fuselage were developed from long-term research activities. These innovations combine to make the HondaJet the fastest, most spacious and most fuel-efficient jet in its class. EAA AirVenture Oshkosh is the world’s premier aviation event that attracts more than 500,000 people each year. The show runs until Sunday, August 3, and is held at Wittman Regional Airport.